iDancehallReggae.com::Caribbean Lifestyle Media::: Bahamas: Mr Beeds put a spin on things! Bahamas: Mr Beeds put a spin on things! Mr Beeds was born Ricardo Wellington Forbes in Nassau, Bahamas on March 4th 1977. After attending C.C.Sweeting secondary high school and then the College of the Bahamas where he obtained a degree in agriculture his father influenced him to get involved in music. His mother encouraged Ricardo to join the Church choir so he started singing in Church from an early age. Ricardo aka Mr Beeds has been developing all his creative skills. He is a guitarist as well as an actor, script writer and director who has done work in the Bahamian film industry as well as the music industry. Influenced and inspired by a variety of artistes such as Marvin Winans, Wyclef Jean, Outkast, P Diddy, Gnarls Barkley, Capleton, Jonathan Butler and Michael Jackson, just to name a few, Mr Beeds has created his own style. The young artiste’s fun, honest and eccentric personality translates into what he calls “inspirational musicwith a touch of comedy”. Mr Beeds has by now established himself on the local scene as a popular and well known hip hop artiste and he also has been making international strides with performances in the Cayman Islands as well as Florida. His debut album “Peak State” has been described as “a socially conscious tour de force of culture & faith”. 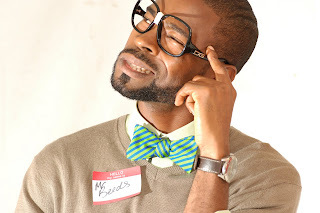 In his singles such as “Hands Up”, “Life”, “Aaa-Cho” and “Never Knew” Mr Beeds uses his parable style story telling skills and comedic commentary to bring across his reflections of life. The talented artiste has also released a video for the single “Aaa-Choo” and is currently preparing for his next video and he is also working on his sophomore album. He says his long term goal as an artiste is to “travel the world and inspire people to make this world a better place.” Mr Beeds is always inspired by his fans, especially when he hears about his music helping to change lives for the better. Mr Beeds stands out with his message of hope delivered in a creative, interesting and always outstanding way. He utilizes his natural Bahamian voice and dialect while at the same time making it palatable for the virgin listener to understand. Music is his life and his life experiences make his music, always coming straight from the heart.